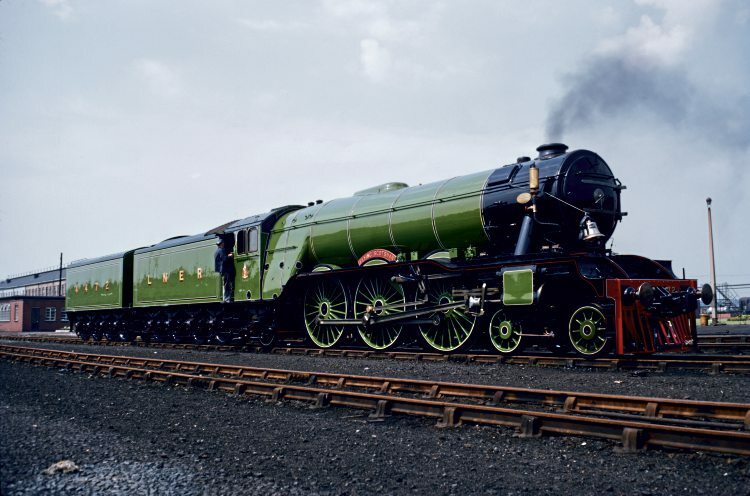 When Flying Scotsman returns to the rails in the New Year, it will not be the LNER apple green No. 4472 we are familiar with, and it will quickly undergo another change in its appearance before its official launch into traffic. 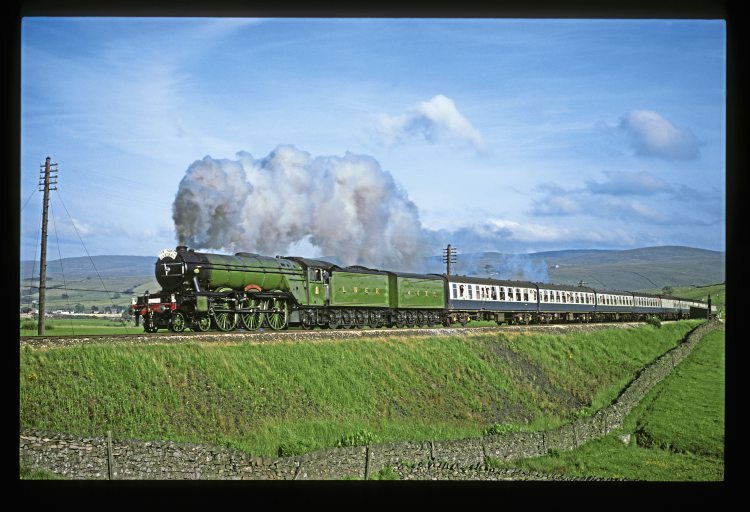 However, Flying Scotsman has always been rather more chameleon-like than most express engines and changes in its appearance have been regular and, at times, quite drastic over the past 92 years… so much so that it now includes very few pieces from the original locomotive, write Brian Sharpe and Robin Jones. 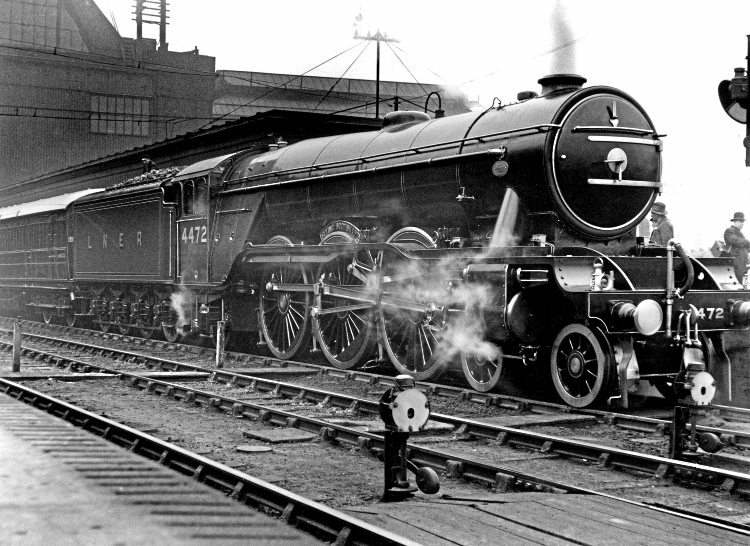 The first of Nigel Gresley’s A1 Pacifics was built by the Great Northern Railway, numbered 1470 and named Great Northern. The second, No. 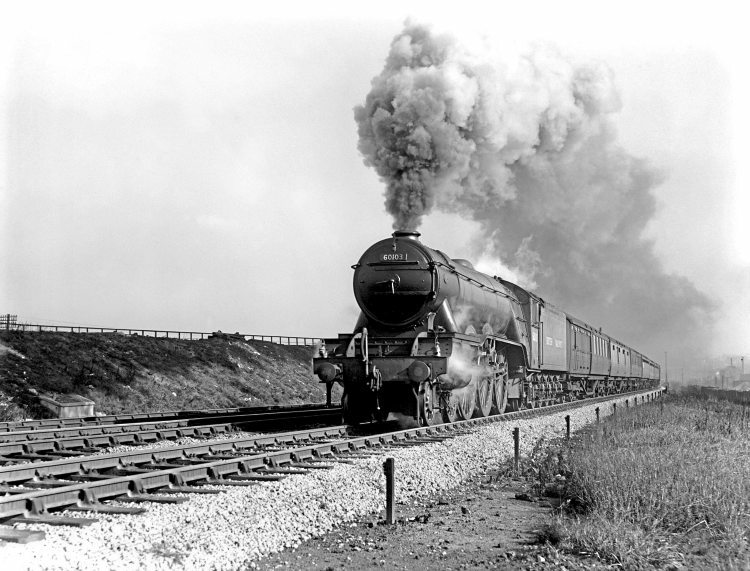 1471, was unnamed but after the 1923 Grouping, the newly-formed LNER decided to name it Sir Frederick Banbury. The third engine, No. 1472, turned out from Doncaster in February 1923 after Grouping, also remained unnamed. It was painted in the LNER standard livery of apple green; a simpler version of GNR livery, with black and white lining. In a departure from previous practice, the number was painted on the eight-wheeled tender in large gold shaded lettering, with L&NER in smaller letters above it. Having inherited engines from several different companies, the LNER found itself with many engines with identical numbers, and part of the solution was to add 3000 to all GNR numbers… so the third A1 quickly became No. 4472. 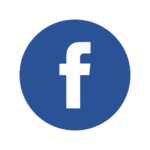 For more, like us on Facebook, or follow us on Twitter here. The LNER’s decision to exhibit this engine at the British Empire Exhibition at Wembley in 1924 led to the first major changes in No. 4472’s external appearance. The LNER coat of arms was added to the cabsides, the wheel tyres and splasher beadings were polished metal and, most importantly, nameplates were fitted over the centre splashers – the chosen name being Flying Scotsman. Now named and renumbered, No. 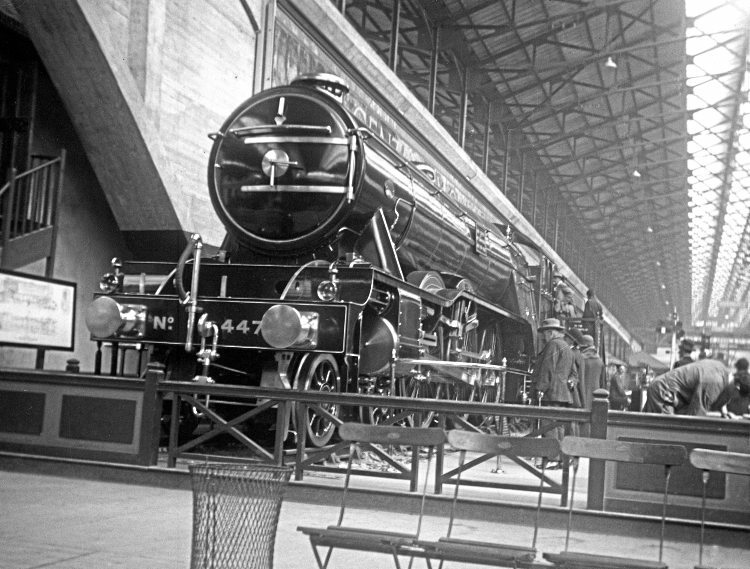 4472 Flying Scotsman is seen on display at the British Empire Exhibition at Wembley in 1924. Flying Scotsman’s appearance was to change quite regularly, sometimes to a limited extent but sometimes quite drastically over the next 93 years, much like the Dr Who character from the BBC’s long-running science fiction series. When one incarnation comes to the end of its lifespan, a metamorphosis takes shape and a new body emerges to house the character of the previous one. And so it has been with Flying Scotsman! When first built, the A1s were too big for the turntable at King’s Cross, and although the Grouping opened up a much wider sphere of operation, the Pacifics needed a bit of trimming down, so slightly lower chimneys and domes were fitted and the bottom corners of the bufferbeams were cut away. This now enabled the A1s to reach Edinburgh and Aberdeen without striking any bridges or platforms. 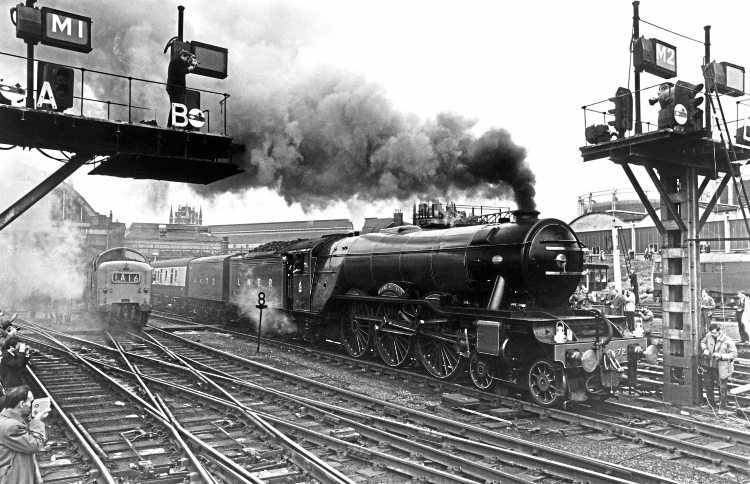 Flying Scotsman achieved further fame by heading the inaugural King’s Cross-Edinburgh nonstop ‘Flying Scotsman’ service on May 1, 1928, but the previous year, in preparation for nonstop running to Newcastle, No. 4472 was one of the engines chosen to be fitted with a corridor tender. These were bigger than the original ‘coal rail’ tenders, and at that stage the number 4472 was moved to the cabside and the tender simply lettered LNER. Flying Scotsman then steamed on for the next 15 years with little change in its appearance, hitting 100mph in 1934, as described below. 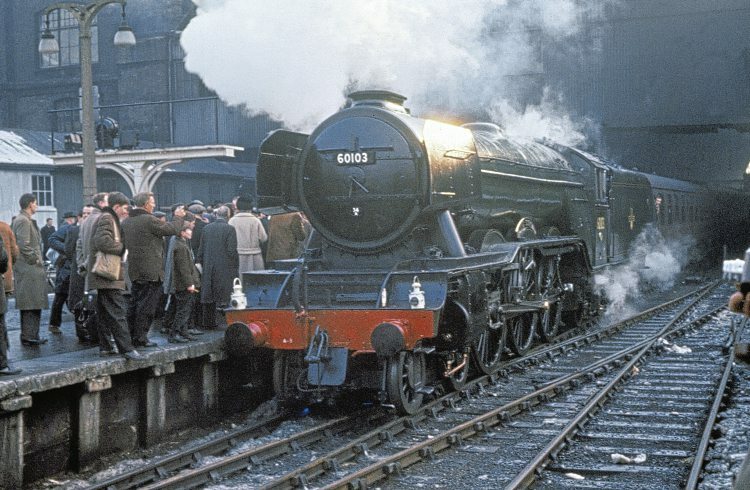 During the Second World War though, the policy was to paint engines in all-over matt black with just a simple NE in yellow on the tender, but it was not until 1943 that Scotsman was dealt with. After the war, but still carrying black livery, Gresley’s successor, Edward Thompson, renumbered Flying Scotsman as No. 502 on January 20, 1946. It quickly changed again to No. 103 on May 5 that year and Scotsman’s identity crisis continued for a few years with further renumbering, livery changes and even reclassification. The A1 design had been improved on by Gresley in the light of lessons learnt from GWR practice and newer engines had been built with modifications and classified A3, with the older ones gradually being converted to match. 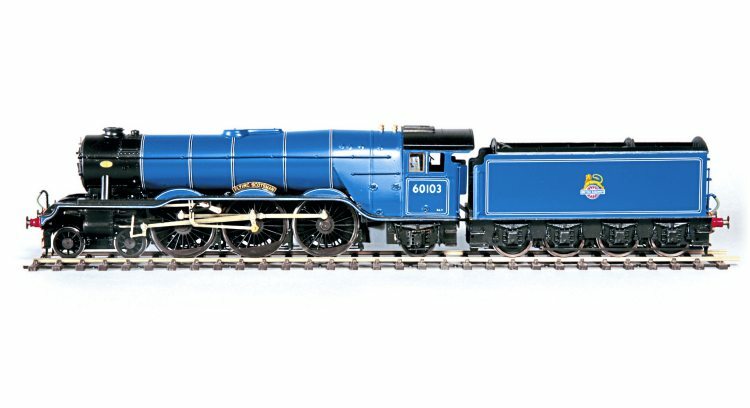 Surprisingly, Scotsman was one of the last to undergo the rebuilding, having to be reclassified A10 in the meantime as Thompson had now called his rebuild of Gresley’s original A1 Pacific No. 4470 Great Northern an A1. On January 4, 1947, No. 103 emerged from Doncaster works as an A3, the most noticeable external change being the ‘banjo-shaped’ dome cover and bulge at the top of the smokebox to accommodate the new superheater header. It also regained its apple green livery, though in postwar Thompson style, with unshaded yellow lettering and slightly simplified lining. 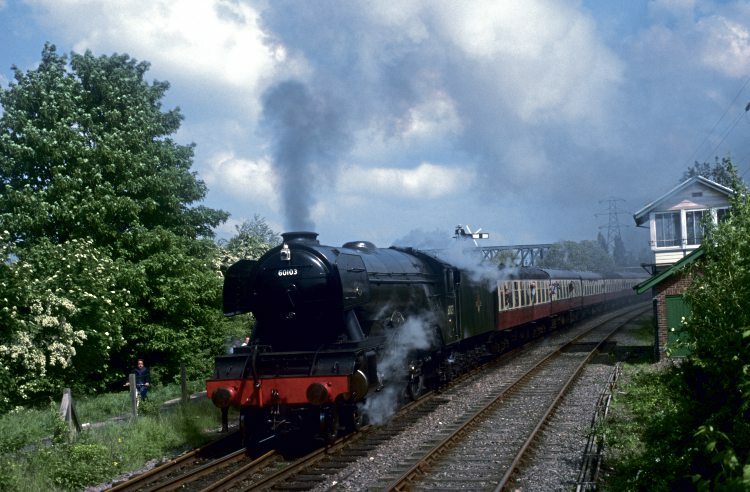 The first effect of nationalisation on the engine was the addition of an E prefix to its number in March 1948 and the replacement of LNER on the tender by British Railways. E103 was a very short-lived identity; a new number, 60103 was allocated and for the first time a smokebox numberplate was fitted. On December 16, 1949 though, a more drastic change was its repainting into BR express passenger blue with black and white lining, cream lettering and the BR ‘cycling lion’ badge on the tender. The wheels and frames were now black and unlined. On March 14, 1952, No. 60103’s blue livery was replaced by Brunswick green, lined in orange and black, a livery originally adopted by BR for smaller passenger engines but now extended to express engines as it was proving difficult to touch up the blue after repairs and overhauls. It was to remain in Brunswick green for more than 10 years. There were visible changes during this period though, as the A3s went through another major modification process. Firstly, in 1954 the engine was converted to left-hand drive so the vacuum exhaust ejector pipe and the reversing rod were moved from the right-hand side of the engine to the left and the engine has remained left-hand drive ever since. Gresley had experimented with the Kylchap exhaust system and double chimney on the advice of Andre Chapelon in 1937 and it was adopted for the later streamlined A4 Pacifics. Despite its success, it was well into BR days before the rest of the A4s received it, but the programme was continued onto the A3s. 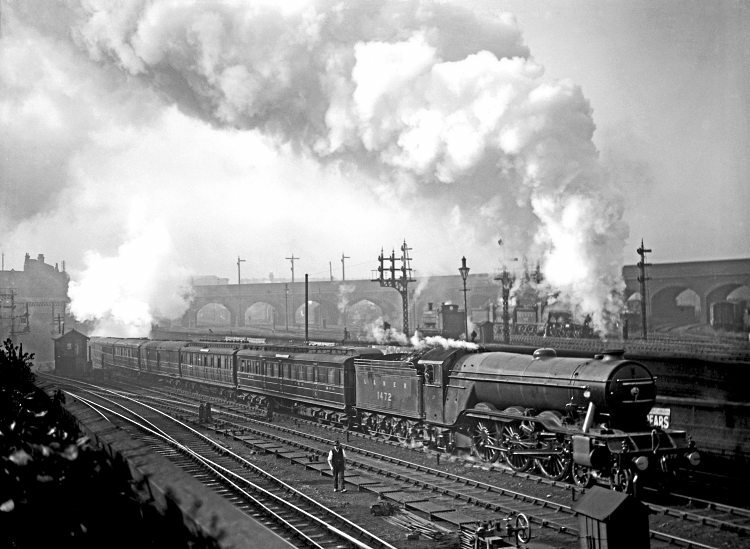 A Kylchap exhaust and double chimney were fitted to Flying Scotsman in 1958. Not all A3s actually received their double chimneys before they were withdrawn and those that did, gave trouble with their exhaust now being much softer, so it tended to obstruct the driver’s vision. 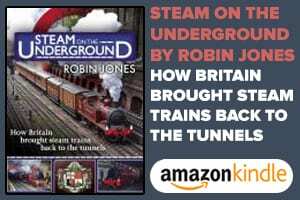 The solution was smoke deflectors and the ones adopted for the double-chimneyed A3s were the brainchild of King’s Cross shedmaster Peter Townend, inspired by the deflectors he had seen on German steam engines. No. 60103 received its trough-type deflectors in December 1961. Like many A3s, it also had its top smokebox lamp bracket moved lower down, necessitating the splitting of the handrail in two and the repositioning of the front numberplate. It was now a much-transformed engine – but too late in the day. Just over 12 months later it was withdrawn from service and, as is well-known, it was purchased by Alan Pegler in January 1963 for active service on the main line. Alan bought it largely as he remembered seeing it at the Wembley exhibition in 1924 and the apple green livery left an impression on him. It was not practicable to return the engine to original A1 specification, but Pegler went as far as he could. Doncaster works returned his engine to single chimney form and painted it in LNER apple green as No. 4472. It was still an A3, not an A1, but it regained its corridor tender, which it had lost to an A4 in 1936. One noticeable change from normal LNER practice was that the nameplates were painted red. A further change was that when the engine had an overhaul at Darlington works in 1965, Darlington applied its trademark – green cylinder covers. Doncaster had a tradition of always painting cylinder covers plain black. The acquisition of a second ex-A4 corridor tender in 1966 enabled No. 4472 to run much further between water stops, but the second tender carried the number and the LNER coat-of-arms was returned to the cabsides just as in 1924. The only other visible change to the engine during Alan Pegler’s ownership was the addition of a bell, large chime whistle and even a cowcatcher for its American tour in 1969. When Pegler went bankrupt and the engine was rescued by the Hon William McAlpine and returned to this country in 1972, it had an overhaul at Derby works and emerged in slightly more authentic condition. The nameplates were black, the cylinders were black (though now with red lining) and the second tender was blue and grey to match BR coaching stock, although it was rarely used. 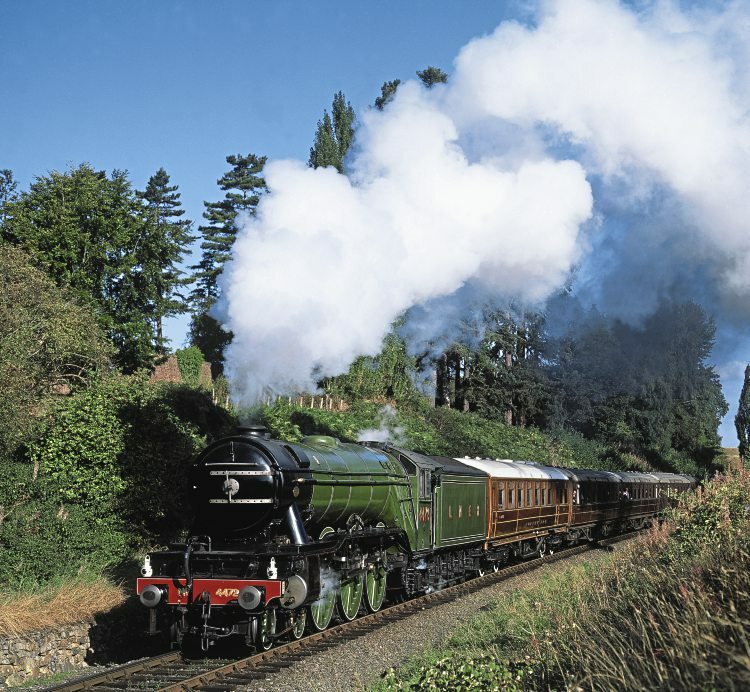 4472 reappeared on the cabsides, and Flying Scotsman ran virtually unchanged in visual appearance for 20 years, including circumnavigating the world and steaming across Australia. In 1992, Flying Scotsman’s main line certificate expired and a heavy overhaul would normally have followed. In a period of uncertainty in the run-up to the privatisation of BR, it was decided to postpone carrying out the overhaul, and meanwhile to operate the engine only on private heritage lines. 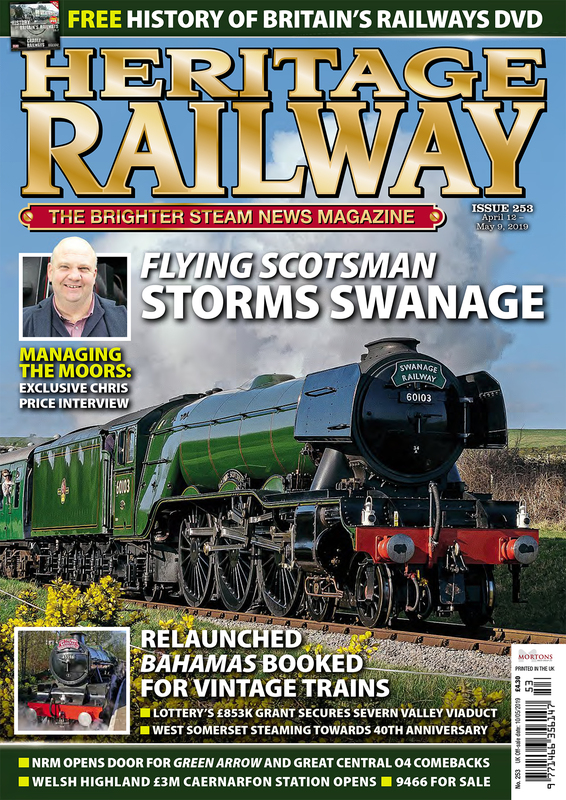 The chimney was showing signs of wear, and in the course of a boiler overhaul at Babcock Robey in 1993, an A3 double chimney was fitted, which had been found in a garden in Hampshire. For the sake of authenticity, German smoke deflectors were also fitted and the engine was painted BR Brunswick green and numbered 60103 for the first time in 30 years. It only ran in this condition on heritage lines until boiler problems caused its withdrawal. Changes of ownership followed and the major overhaul finally commenced in 1996 after purchase by Dr Tony Marchington. 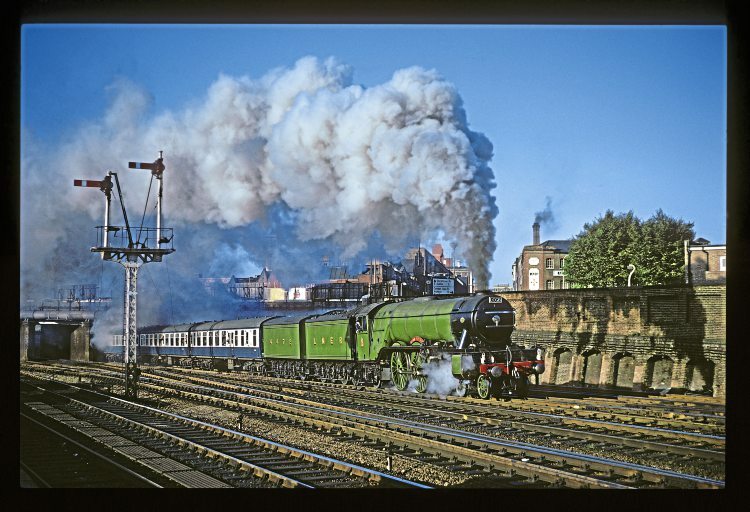 The decision was made to retain the double chimney and smoke deflectors, which would give a much-enhanced performance on the main line, but for commercial reasons, the engine was outshopped from Southall in 1999 in LNER apple green livery as No. 4472; a very non-authentic livery for its condition. 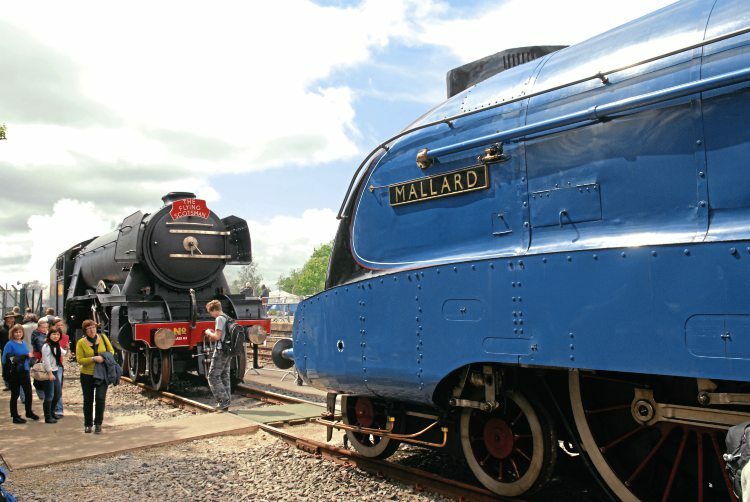 The external appearance of the engine then remained unchanged until it was dismantled at York after purchase by the National Railway Museum in 2004. A decision was made in 2012 to paint it in wartime black livery, numbered 502 on one cabside and 103 on the other. This livery is still carried and Flying Scotsman will make its first public runs in black. For its official launch in February 2016 the engine will appear in fully-authentic BR Brunswick green livery as No. 60103, still with its double chimney and smoke deflectors. It has even had its smokebox handrail split and the front numberplate is correctly positioned on the top hinge, to make it look exactly as it was when withdrawn by BR in January 1963. Meet Mandy Sharpe – the Flying Scotswoman! THIS time round a lady engineer is fitting key pieces of apparatus to the sole-surviving Gresley A3 that will allow it to run on the main line. Electronic railway design engineer Mandy Sharpe, 47, from Willenhall near Wolverhampton, has been installing the compulsory On-Train Monitoring recorder and Train Protection & Warning system apparatus. Her remit is to ensure that these now obligatory add-ons to the original are hidden from view, so the general public will not doubt the authenticity of the locomotive. “Modern electronics have gone in but you’d need to be eagle-eyed to spot them,” said Mandy, whose dad Alfred was an engineer. 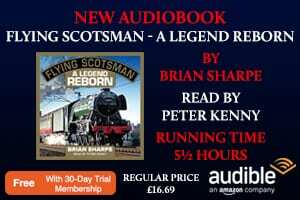 “The main issue with the Flying Scotsman has been keeping everything hidden. Everything needs to be behind panelling or in boxes. One of two ladies working on the locomotive, the other painter TerriAnn O’Connor, Mandy added: “The steam world is a very male-dominated area and people are always surprised to see a woman working on an old iconic train.